It takes some tactical skills to survive in the desert. Indigenous Native Americans of the Sonoran Desert, the Tohono O’odham people have had to acclimatise and adapt to their barren surroundings (which sweep from Arizona and the Gulf of California to Mexico) with a new approach to domestic design. Fibre artist Terrol Dew Johnson is well versed to the wild ways of desert life. 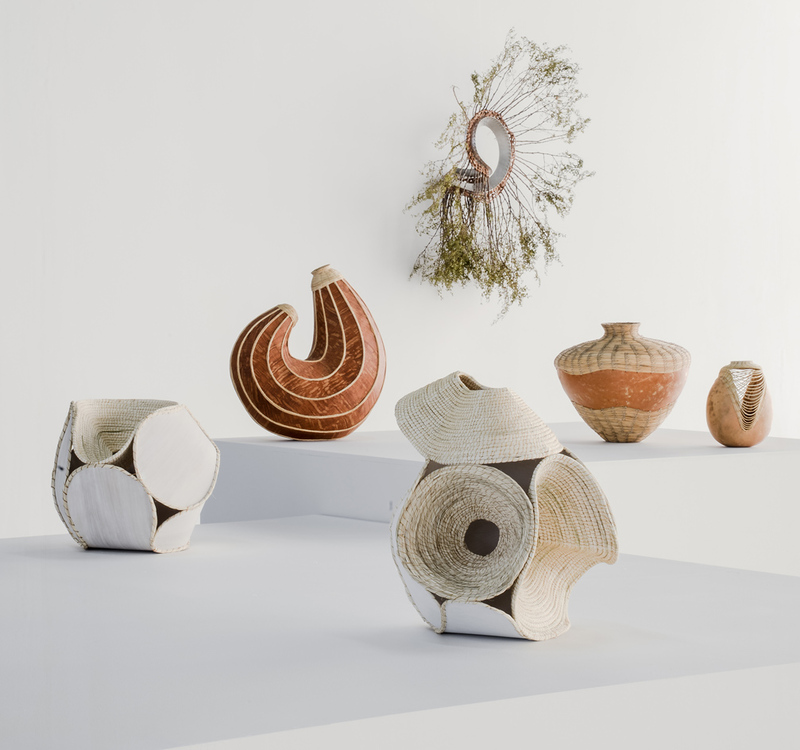 A basket craftsman since the age of ten, he has collaborated with New York and Tucson architects Benjamin Aranda and Chris Lasch of Aranda\Lasch over the past ten years, putting a contemporary spin on this native art. The results are currently on view at the Museum of Contemporary Art in Tucson. 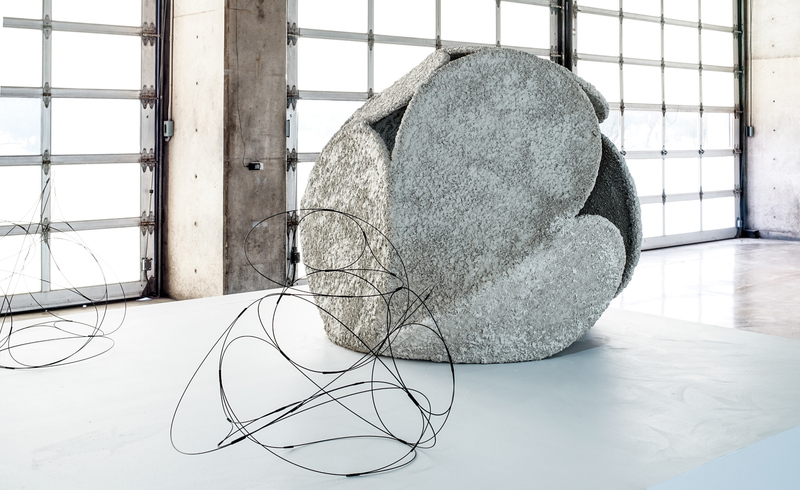 Entitled ‘Meeting the Clouds Halfway’, the exhibition is curated by Alexandra Cunningham Cameron. Comprising an array of baskets scattered around the neo-brutalist space, these reveal their experiments with the ritualistic process of coiling: a native practice that ‘starts with one central point around which a material is wound, spiralling outward and upward in concentric circles until structure is created’. The resulting silhouettes are sinuous and intertwining, rendered in unusual desert materials including grass, fibrous tissue sinew and horsehair. These are set in juxtaposition with modern iterations in copper, painted steel and concrete. Described ‘a proposal for cross-cultural collaboration – blending centuries-old traditions with modern technologies and theory’, the installation also includes examples of Dew Johnson’s original rustic baskets, alongside clever maquettes by Aranda\Lasch, displaying the epic evolution of their investigations. While at first glance the winding and poetic forms appear as a pattern of abstract artworks, looking closer reveals structures embodying conceptual tables or stools in rougher steel and concrete, an undeniable nod to how the craft articulated itself initially as functional design.